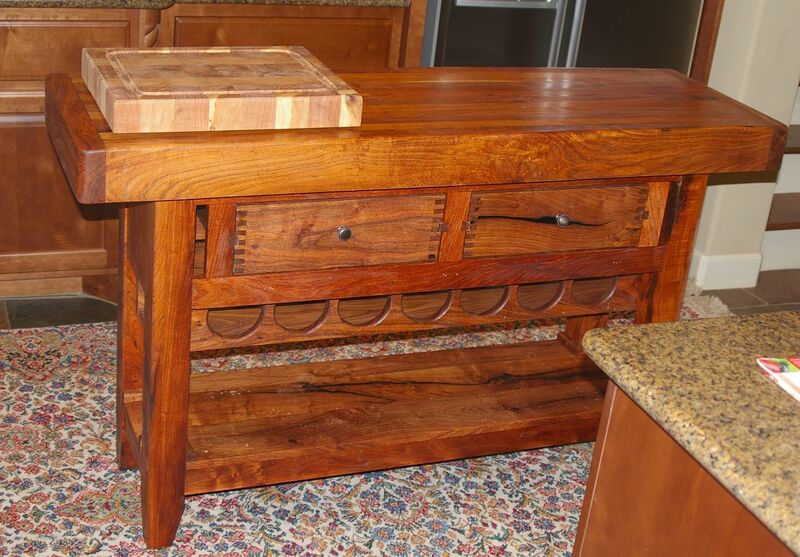 The Kitchen Island is a beautiful addition to any kitchen. This island is 60 inches long and 18 inches wide and 36 inches high. 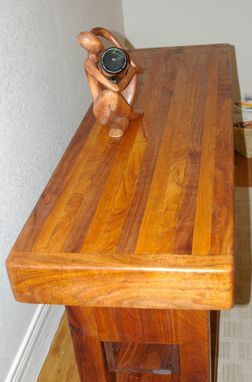 The top is made of hardwoods of mesquite, cherry and pecan with a 4 inch apron of mesquite. The base is mesquite. It features two large drawers, a wine rack for 7 bottles of wine and a shelf below that. It has a hand rubbed oil finish. A 50% deposit is required at time of order with balance due upon completion. Other sizes or custom sizes available. Cost depends on size.